As a part of their outreach after the field school, Academy youth participate in outreach in the areas of education, service work, media engagement, and the creative arts. Reports from the Field are reports from the youth on those experiences. 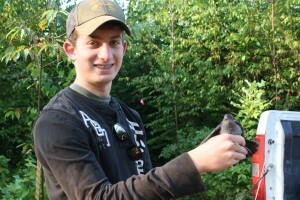 In this blog, student Brett reports on his experience assisting during bird banding. 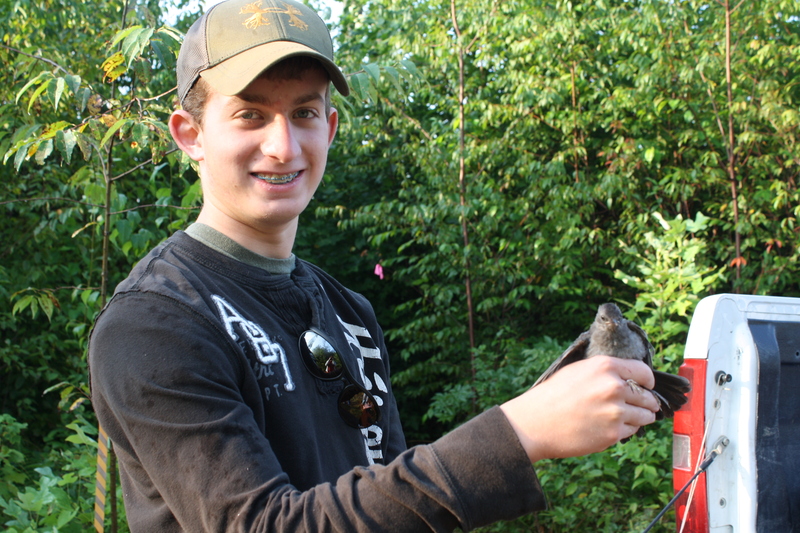 On August 16th, 2012, I went bird banding in the Allegheny National Forest near Warren, PA. I worked with Emily Thomas, a Wildlife Biologist for the Department of Forestry. Our day started at 5:00 AM. Emily also had a student from Penn State working with her. We drove to a clear cut area where we began setting up the nets. We set up approximately 6 nets. Every hour we would check these nets to see if we had captured any birds. Determine if birds were adults or juveniles. A band being placed on the bird. 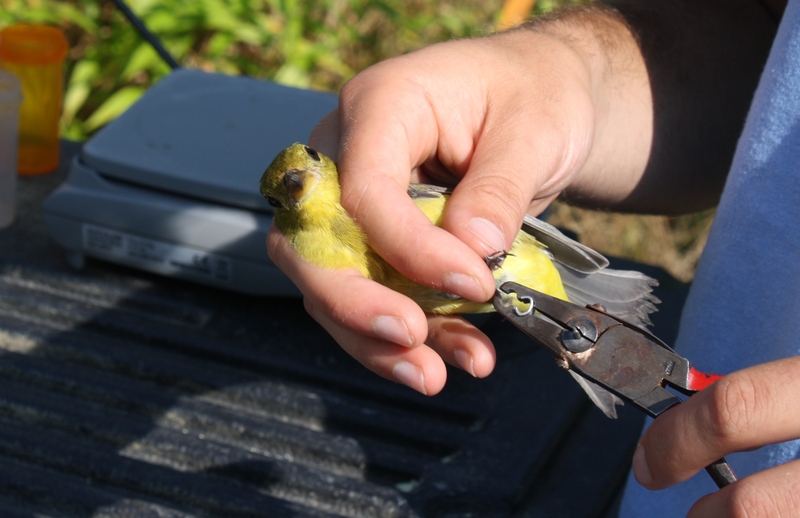 A band was then placed on the birds before we released them. We did this process until about Noon. Most birds were caught early in the morning. 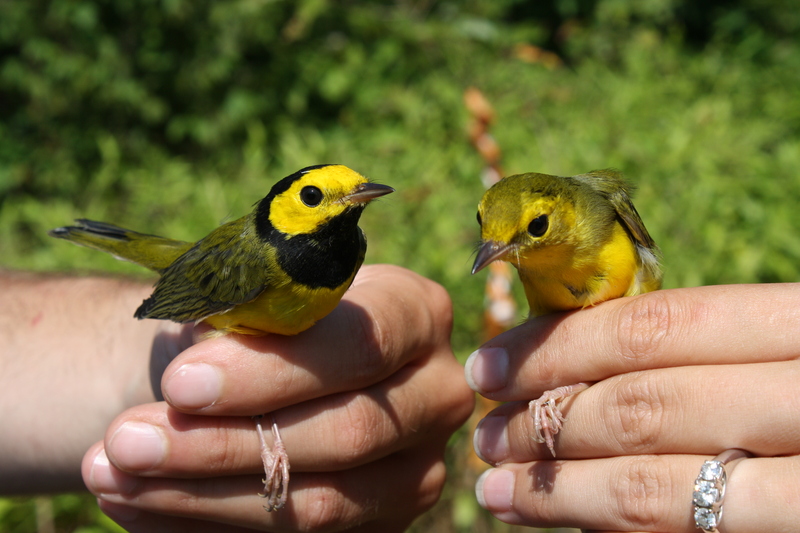 By banding birds, they hope to get additional information/share information about the movement and general health of the birds. Know a teenager like Brett who is interested in getting more involved? The Wildlife Leadership Academy is a great place to start! The 2013 summer field school applications are now available. The deadline for youth to apply is April 1. It’s an experience they will never forget!